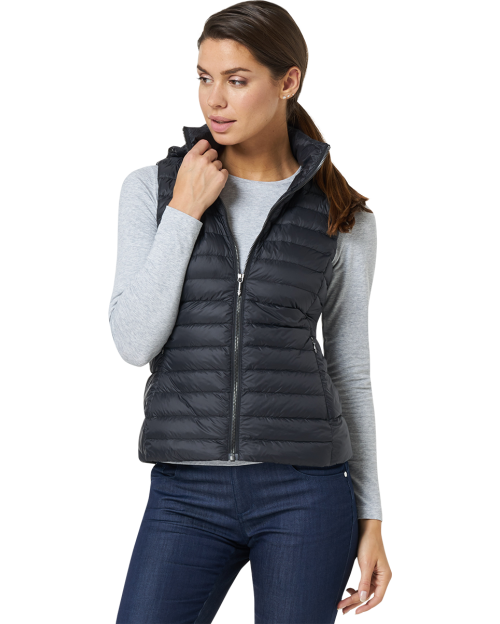 Lightweight vest for women with down insulation perfectly protecting against cold and wind ALMA. Perfect for all seasons, from cosy evening strolls to active sport outdoor. Special 3-layers light down garments sewing technology. 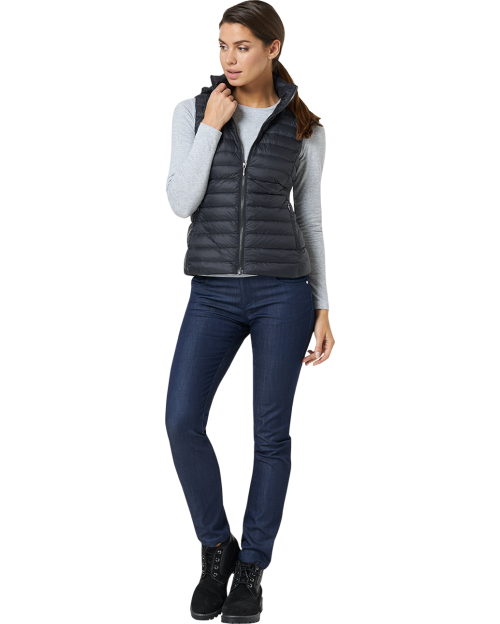 Down compresses, so vest is perfect for traveling. 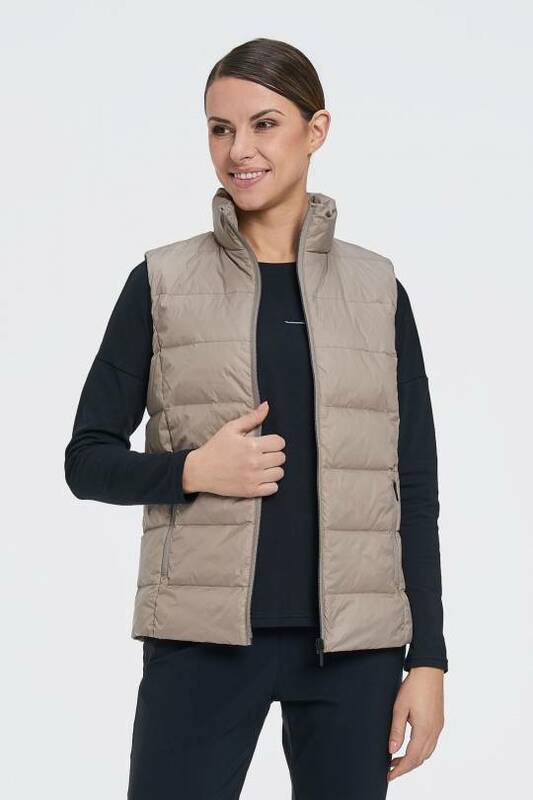 Extra comfortable women vest with down padding, perfect protection against wind in cool weather in summer.